Do you love rainbows? How about gold foil? Marbled papers? 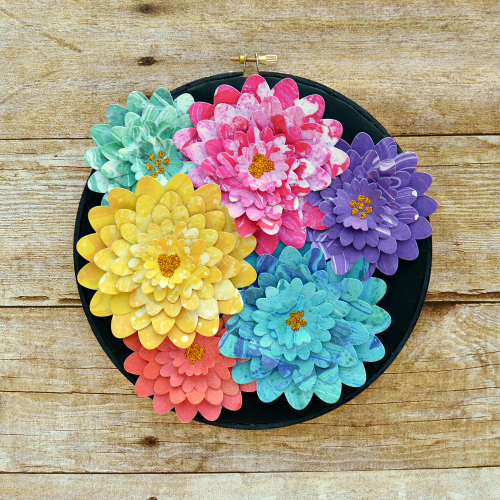 If you raised your hand for any of those then you are in luck because today I am going to share how I combined all three of those beauties to make this colorful ensemble! I wanted a trio that was eye-catching and bold so inevitably I went for that with my colors! Rainbow papers in a variety of marbled designs combined perfectly with the gold foil I was going to use to do a “Wear Your Adhesive on the Outside” Technique! 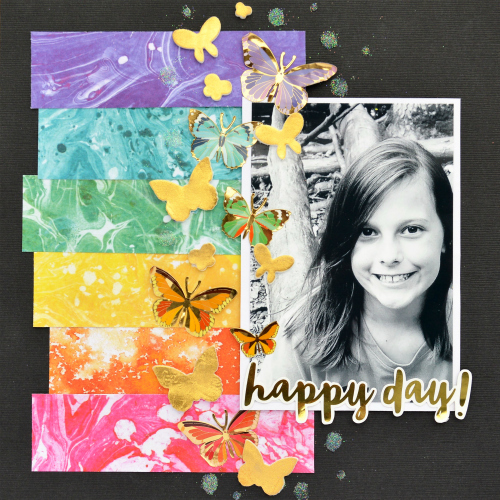 This bottom layer of this layout came together quickly thanks to the help of my E-Z Runner® Grand and Crafty Foam Tape. 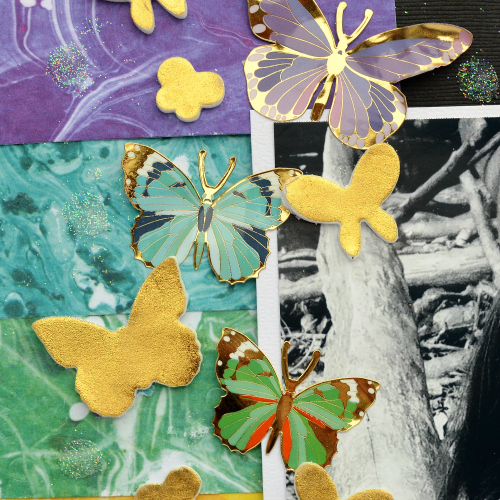 Next came the fun part – adding gold foil to the 3D Foam Butterflies! I used foil from the 3D Foam Creative Embellishment Kit. This was the EASIEST technique in addition to being so satisfying! Have a look at my video below to see just how simple it is! Considering I was now on a bit of a foiling kick, I decided I would carry on and see what other things I could foil. How about Adhesive Dots and Adhesive Lines? Believe it or not, the answer to both questions is YES, either of these products will work! Consequently, I foiled both of those and then added them to my butterfly for this simple card. Lastly, to round out my ensemble, I wanted to create a decor piece that had some pretty colors in addition to dimension. Unfortunately, there was no room for foil on this! Instead, it required gold glitter! After coloring my embroidery hoop black I secured black cardstock to it using a combination of Adhesive Lines and Extreme Double-Sided Tape 1/8in. I cut out layers of flowers and due to my desire to make them really tall, I used 3D Foam Squares in between each layer. 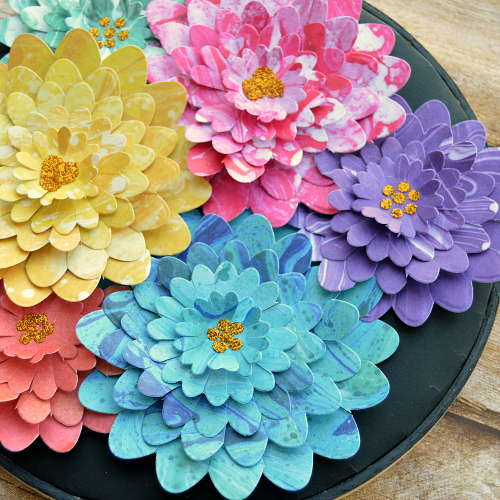 I also pulled up the individual petals and curled them back under to give them another level of dimension. Finally to the center I added various sizes of Adhesive Dots and gold glitter to create the center of my flower. Foil probably would have worked here, but I didn’t want to mess with the delicate centers! Seems like doing this ensemble may have just turned me into a foiling machine….until next time I’ll be covered in foil :)! This entry was posted in 3D Foam Shapes, 3D Foam Squares, 3D Projects, Adhesive Dots & Lines, Adhesives, Cards, Crafts & Tutorials, Crafty Foam Tape, E-Z Runner® Grand, HomeHobby by 3L, Scrapbook Page, Scrapbooking, Tutorial, Wear your Adhesive on the Outside and tagged 3D Foam Butterflies, 3D Foam Creative Embellishment Kit with Foil, 3D Foam Squares Mix White, 3D Foam Squares Regular White, 3D Foam Squares Small White, Adhesive Dots Large, Adhesive Dots Mini, Adhesive Lines, Card, Card Making, Christine Meyer, Crafty Foam Tape White, E-Z Runner Grand Dispenser, Extreme Double-Sided Tape 1/8", Home Decor, Process Video, Scrapbook Page. Bookmark the permalink. 2 Responses to "Rainbow Ensemble Showcasing Gold Foil"
Wow, all that gorgeous color just pops! I love that you colored the embroidery hoop. Great idea! 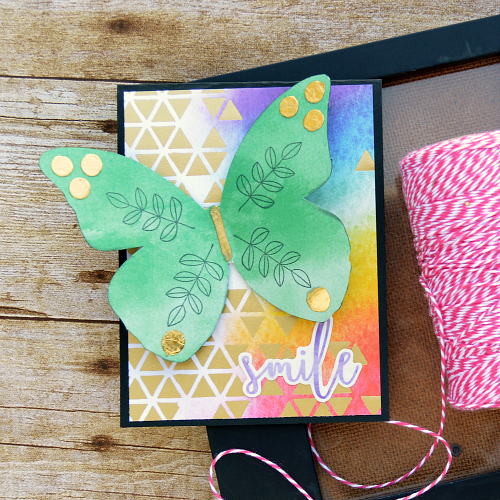 Where did you get the die but foam adhesive butterflies to do foiling? I really like that addition to the scrapbook layout. Are other shapes available? Please advise specifics.